Luxury 1,700 Sq. Ft. Oceanfront Condo With Stunning Views and Amazing Amenities! So you're pondering a trip to Maalaea? If you want a place to hang your hat that's located near some well-known Maalaea attractions such as Maui Ocean Center and Maalaea Harbor, just go to Orbitz, choose your travel dates, and voilà! Review the list of hotels and other accommodations to identify those that are located near what you want to see. Whether you're looking for a cheap hotel or a small bed & breakfast, Orbitz has 247 accommodations in Maalaea including 213 condos. Search by filters such as price, neighborhood, guest rating, or popular locations, depending on what's most important to you. We make it easy to find a convenient flight to Kahului, HI (OGG), which is 8.6 mi (13.9 km) from the city center. Find the perfect flight quickly by using the filters on our site to narrow down your search. 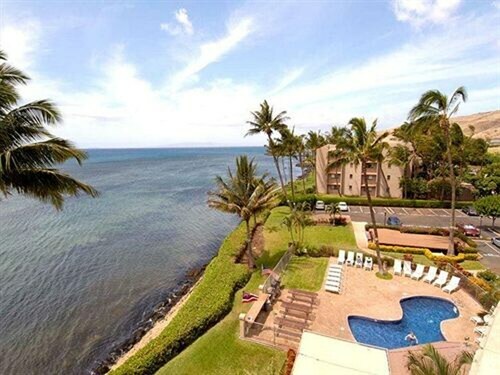 Go swimming when you stay at one of these Maalaea properties, liked for their pools. Savings! 5 Star Reviews! A/C In Master Bedroom And Right On The Beach! What's the Weather Like in Maalaea? 5 Star Reviews! Sleep Comfortable With Split System AC! On The Beach! Savings! Right On The Beach And Quite Nice!